Wednesday Night Suppers are back!!! 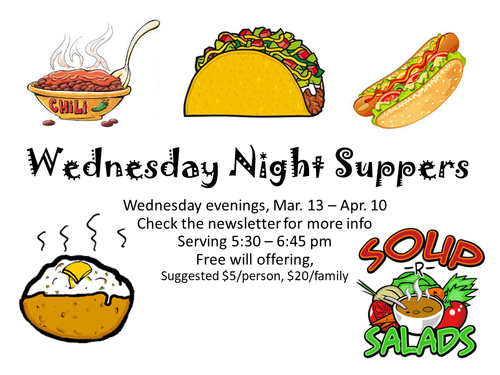 Yes, we will be having Wednesday Night Suppers during the Lenten season. Dinner will be served 5:30 to 6:45 pm. A free will offering will be taken, with a suggestion of $5/person, $20/family.